Talk directly with a survivor who has been in your shoes. Learn how to combat the side effects of treatment. "We are here for you!" 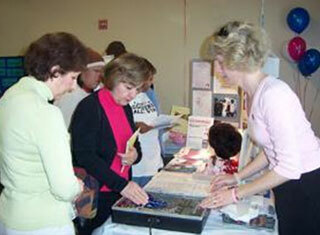 Community Health Fairs that we participate in. 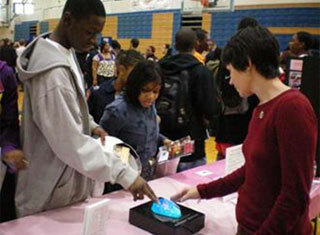 BCSN participates in this annual health fair that shows students the importance of early detection. Lori Walker, volunteer and 5-year breast cancer survivor, instructs students on how to do a breast self-exam and give students information that they can take home and share with their family. Mary Tochterman, a breast cancer survivor, teaches Latina women how to do breast self-exams (BSE) at the annual Latino Health Fair in Peachtree City, Georgia. as well as community education.